Published: November 8th, 2017 by Simon. Filed in Tiles and tagged bathroom design, bathroom tiles, feature tiles. Feature tiles are hotter than ever right now! They are available in a range of colourful designs and patterns and they look absolutely stunning. What’s more, they are perfect for creating designer spaces; urban hotel-style bathroom being one. If you’re in the midst of designing a hotel-style bathroom, then no doubt you’ve been scoping out many features tiles to include. But, how do you choose the right one? Today, we’ll take a look at just this. As Ross’s Discount Home Centre’s head of purchasing, I have years of experience in dealing with feature tiles in Perth. Over the years, I’ve learnt a lot about how to use these tiles to create designer spaces effectively. So, continue reading this post as I explain how you can create an urban hotel-style bathroom using feature tiles. I’ll also showcase 5 of our top-selling feature tiles which are perfect for designing such a bathroom. Urban hotel-style bathrooms are all about luxury and elegance and they ooze of style. Such bathrooms often include sleek accessories, rich fabrics, fine toiletries and plush fabrics. One thing that defines urban hotel-style bathrooms is the colour of the feature tiles used. Hotel-style bathrooms are refined and sophisticated and almost always make use of a neutral colour palette (white, blacks and greys). Sometimes, soft hues of green, blue or yellow are contrasted with darker neutral colours to make these bathrooms livelier. When it comes to flooring choices, most urban hotel bathrooms make use of feature tiles to create a graphic effect. Feature tiles that exhibit a cool colour palette are an excellent choice for creating such a bathroom. You can even choose to use the same tile pattern on your walls to create a seamless transition. Here, at Ross’s Discount Home Centre, we offer an entire range of feature tiles in Perth. Of our range, the following tiles are absolutely perfect for creating an urban hotel-style bathroom. Our Grenier Black feature tile is extremely popular with customers for creating designer bathrooms. This glazed porcelain tile exhibits multiple geometric patterns in different shades of black and grey. It can be used for bathroom floors and walls to create a seamless and stylish look. And, it has been specially designed to be installed with minimum grouting, allowing for a more modern finish. The Grenier Black feature tile costs $16 per piece. 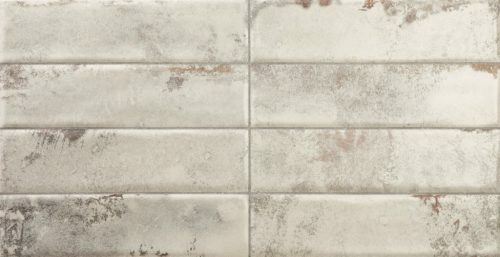 Another contemporary feature tile which is great for designing an urban hotel-style bathroom is the appropriately named, Urban Wall feature tile. It features a rustic, whitewash finish that is ideal for use in showers or walls. Best of all, you can purchase this feature tile for only $32 per piece. Our Brickbold Ocre porcelain wall tile is another fantastic choice for your bathroom walls. It exhibits a series of tribal patterns in neutral shades of brown and grey. It can be installed on internal walls in both wet and dry areas, so you can use this tile just the way you please. 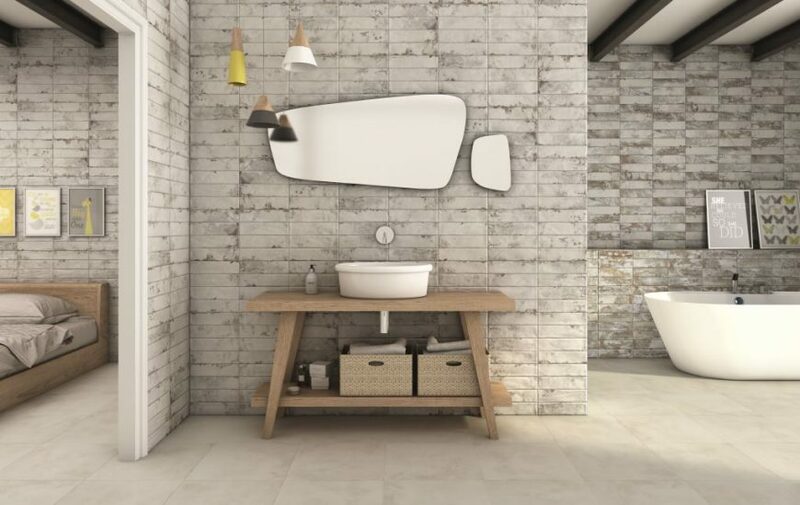 And, its unique looks make it perfect for use in urban hotel-style bathrooms. Our Brickbold Ocre feature tile will cost you only $5 per piece. For a bold, yet urban tile that is ideal for designing a hotel-style bathroom, consider Atelier. A glazed porcelain feature tile, it sports a trendy geometric pattern in different shades of grey and white that will certainly set the tone for your bathroom design. And, it can be used both as a floor tile and as a wall tile, allowing you to create a seamless look. This feature tile will cost you only $16 per piece. Lastly is the Alea Grey feature tile; a large modern mosaic tile that exhibits a fine brushed aluminium pattern in 3 shades of grey. 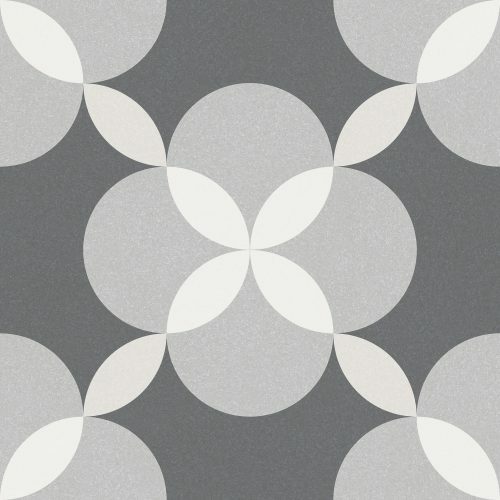 Measuring 15 x 60 cm, this modern tile is perfect for designing an urban hotel-style bathroom. It is suitable for walls and shower spaces and will set you back $54 per piece. You can replicate an urban hotel-style bathroom in your home by choosing feature tiles wisely. Urban hotel bathrooms make use of a neutral colour palette, so make sure to choose your tiles accordingly. At Ross’s Discount Home Centre, our Grenier Black, Urban Wall, Brickbold Ocre, Atelier and Alea Grey feature tiles all sport unique designs in neutral colours. These tiles are perfect for creating an urban hotel-style bathroom. 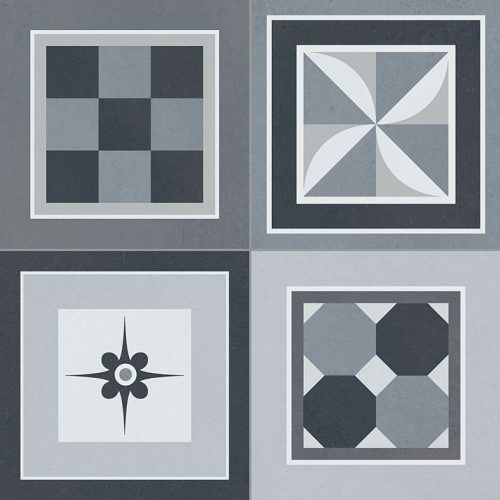 Which of these 5 tiles would you most likely choose for your bathroom? Which tile featured in this article would you choose for a urban hotel-style bathroom?